Directorate of Technical Education, Goa is conducting GCET 2019 examination in 15 centres in the state Goa. Candidate can choose three different centres among those given location. But the final location will be decided by DTE autority. Candidates, who are confuse to select the GCET 2019 Exam Centre. Go through the Article to get information about the GCET exam centres. 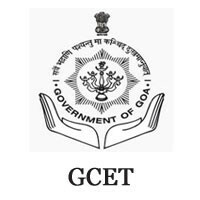 Centre: The GCET/ GOA CET 2019 will be conducted in the 15 centres in the state of GOA. Choice: Candidates have to choose the Exam Centre while filling the Application Form. Candidate can choose three different Exam Centres.